A ring on a post. 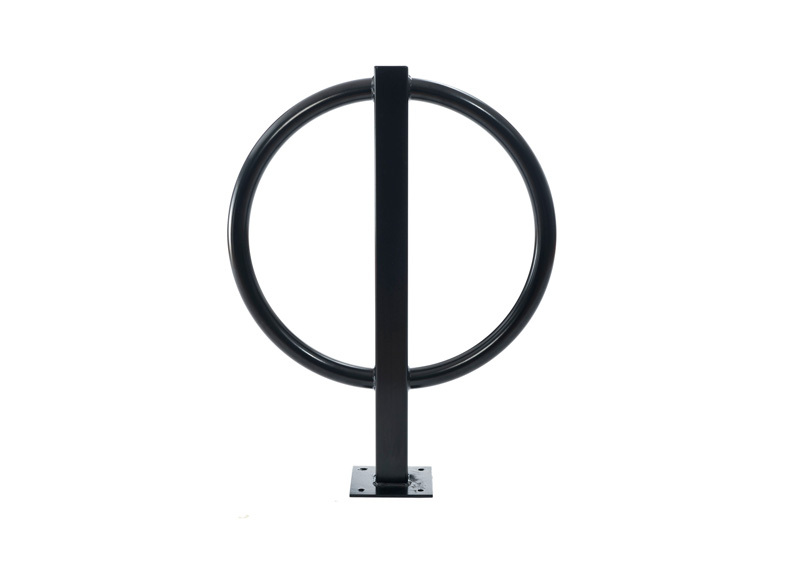 By using a larger hoop, this steel bike stand ensures that both front and rear wheels can be locked. This is the perfect bike stand for towns and cities that want to extend an appropriate style to areas of historical interest.